Poland’s Foreign Minister Jacek Czaputowicz said the government's arguments were “slowly coming home” to EU officials. Poland has until March 21 to respond to European Commission demands that it restore the rule of law or face proceedings under Article 7. A debate on March 20 between EU ministers and the European Commission’s deputy head, Frans Timmermans, ended with Brussels rejecting a white paper published by Poland that defended its reforms. The EU said it was an insufficient response. As reported by Deutsche Welle (DW), Germany’s international broadcaster, Warsaw released a statement saying it rejected criticism and that it refuses to retract the laws, but said it was ready to discuss the results of its new laws. Speaking to reporters in Brussels, Timmermans said: “If this idea that you have the right to reform the judiciary… is understood as the right to put it under political control, then we have a problem”. “Talking for talking’s sake is not enough and I hope that today… will give a clear signal that EU members support the European Commission in this essential matter,” said Germany’s EU minister Michael Roth. In response, Polish European Affairs Minister Konrad Szymanski said he hoped member states would assess Warsaw’s white paper in an “objective, unbiased, individual way,” adding that Poland did not want a “passive duplication of someone else’s opinion” among EU members. Radio Poland online reported that the country’s ruling Law and Justice (PiS) party has argued that sweeping legal changes are needed to reform an inefficient and sometimes corrupt judicial system tainted by the communist past, accusing judges of being a self-serving clique often out of touch with the problems of ordinary citizens. 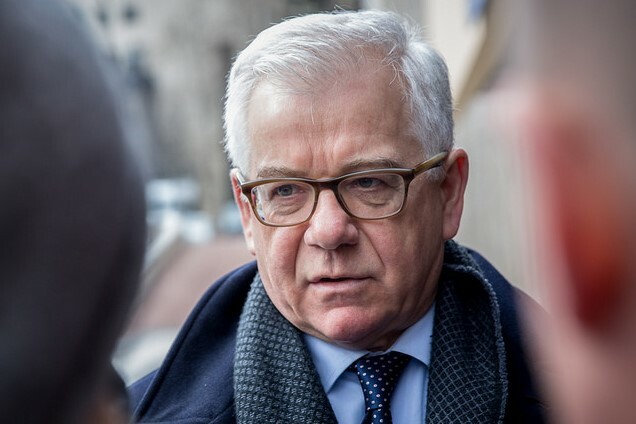 Poland’s Foreign Minister Jacek Czaputowicz said on March 19 the government’s arguments – that the changes to the judiciary “are not intended to limit the independence of judges, but to maintain independence and to improve efficiency” – were “slowly coming home” to EU officials.